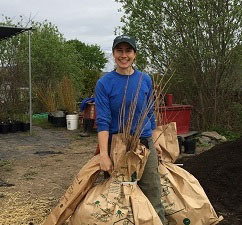 Hudson Estuary Trees for Tribs (tributaries) will launch its spring planting season with “Potting up”, an event in celebration of Arbor Day on Friday, April 26, 9 a.m. - 4 p.m. Volunteers are invited to join Estuary Program staff to help plant 4,000 bare-root seedlings into pots for spring and fall planting projects. Tools, gloves, and a pizza lunch will be provided to volunteers. The event takes place at the DEC Region 3 Headquarters, 21 South Putt Corners Road, New Paltz. Please RSVP to volunteer for this event.